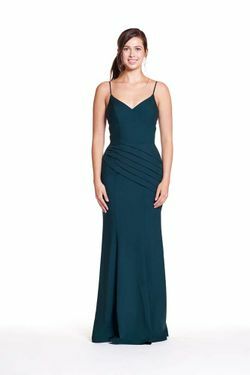 Bary Jay bridesmaid dress style 1834 - Sequin dress with a V-neck halter. Slim fit skirt. Straight skirt with pleats. Shown in Floral Gold.